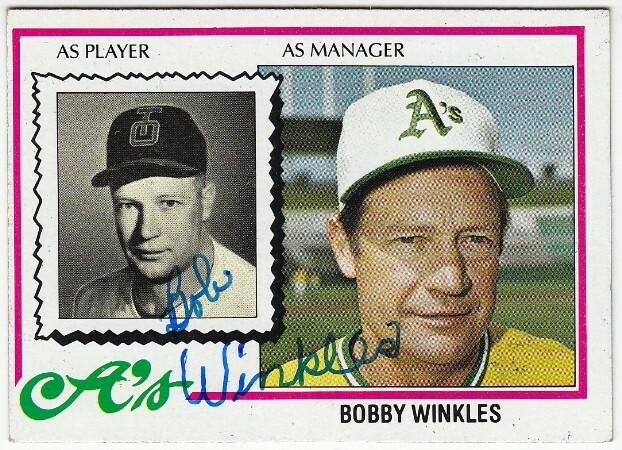 GCRL recently shipped me a package that included this awesome 1978 Topps card autographed by Bobby Winkles. I love this card! 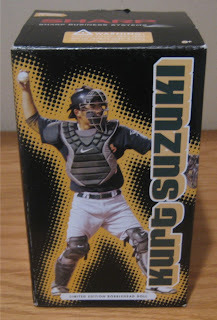 In fact, it's now a permanent fixture of my Oakland Athletics shelf in my office. However, I've got to admit something. When I pulled this card out of the padded envelope... I had no idea who this guy was. So I decided to "Google" him and discovered a bunch of cool stuff about Mr. Winkles. 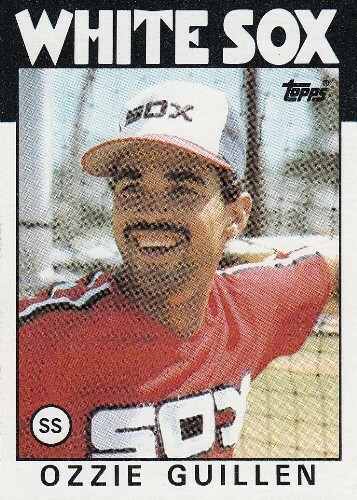 #1 He played seven years in the White Sox, Cubs, and Phillies minor league systems. #2 He was the first varsity baseball coach at Arizona State University, where he won three national titles. 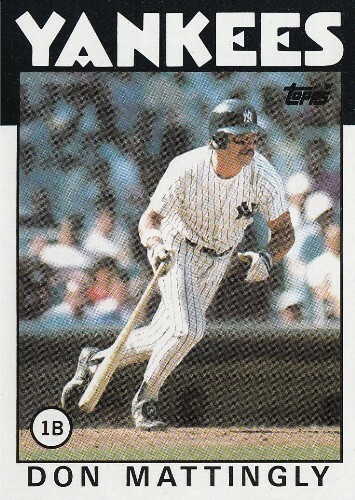 #3 Reggie Jackson played for him at ASU. 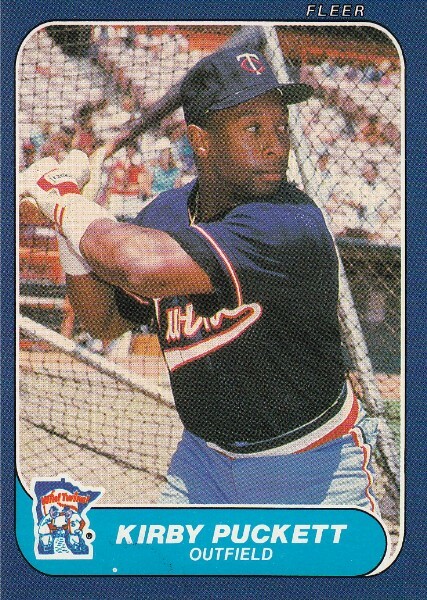 #4 He's a member of the ABCA Collegiate Baseball Hall of Fame and there's a baseball field named after him at ASU. #5 In 1978, he led the Oakland A's to a 24-15 (first place) start before resigning because he grew tired of owner Charlie Finley. The A's finished the season in sixth place, 24 games under .500. Thanks GCRL! 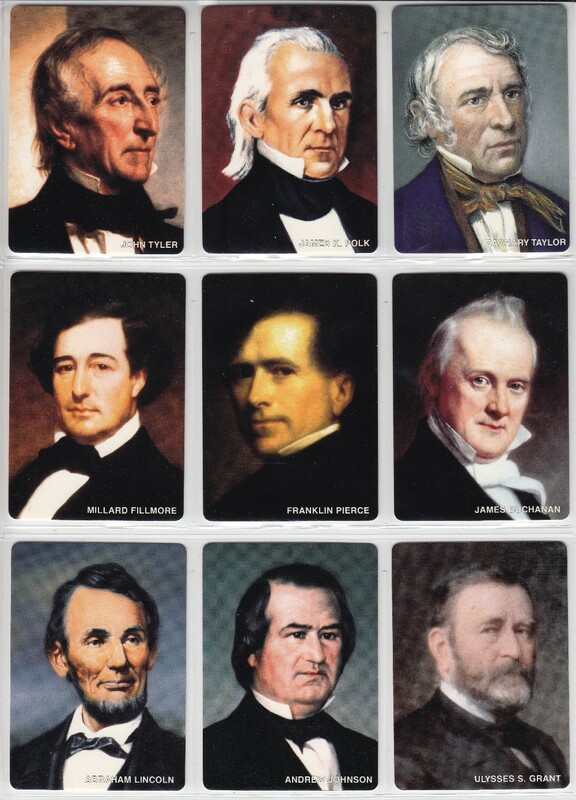 The cards are awesome. 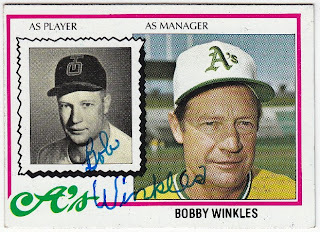 I'm forever thankful that it led me to research and learn about the great Bobby Winkles. One of the perks of blogging is the opportunity to meet other collectors... and one of the first people I got to know was this generous Blackburn Rovers fan from across the Atlantic Ocean. If you haven't figured out who I'm talking about... it's Martyn who's authored a pair of defunct blogs: Steal Second & Arbitrary Crap. He's still a member of Sports Jumbalaya, which is a blog involving seven sports fans who love to talk sports. Unfortunately none of us has posted anything in over two years, so I guess we've pretty much abandoned the blog. But that's another topic for another day. The inclusion of this card actually made me smile, because he's one of the few people that actually remembers that I have a Damaged Card PC. Two cards down... two more to go. I just need The Sultan of Swat and Pops to complete the set. Thanks a bunch Martyn. Your generosity is much appreciated. 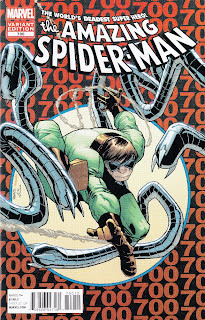 What do these Spider-man comic books, a 1970 Topps Frank Robinson, and this post have in common? 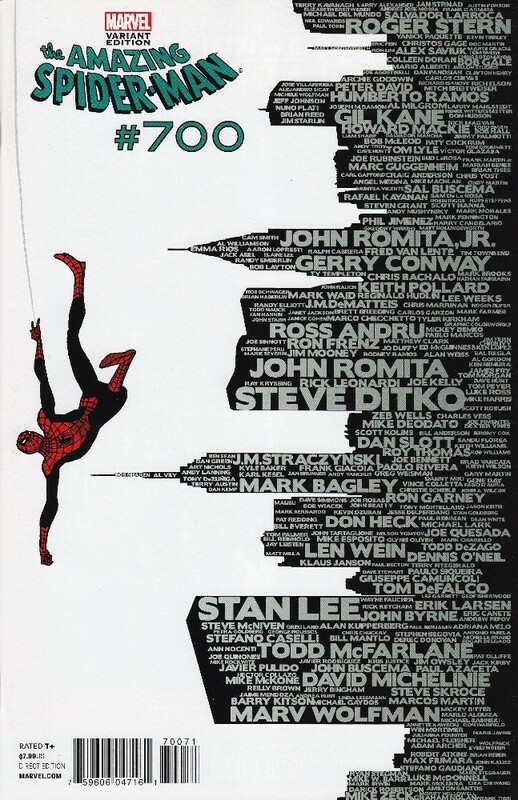 In December, Marvel released the 700th and final issue of The Amazing Spider-man, which marked the death of Peter Parker. This ended a 50 year run that dates back to March 1963. 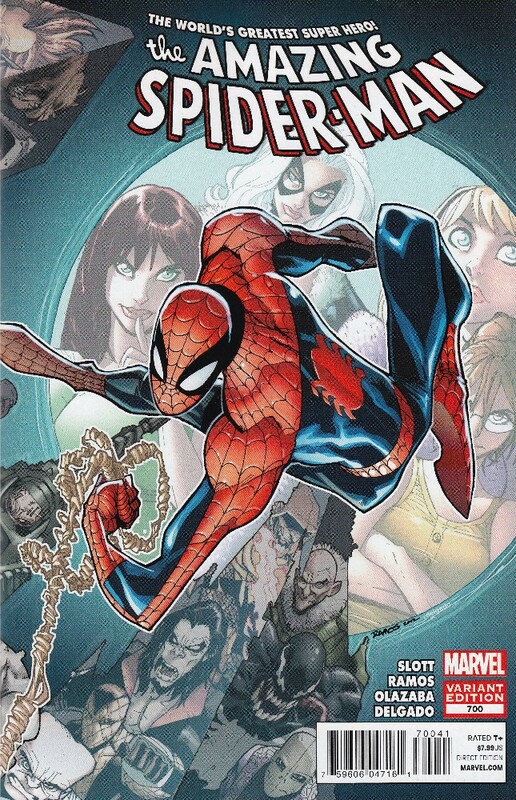 Unfortunately, I haven't been able to acquire the original cover. But I did manage to secure a copy of the 2nd Printing and three of the different variants. Seven years later Topps broke the 700 card set barrier, when it produced the 1970 Topps baseball card set. 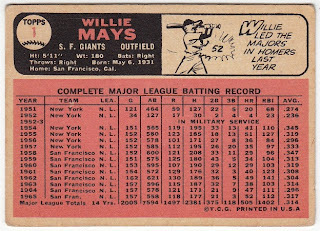 The 720 cards produced made this the largest set Topps had produced up to this point in their history. 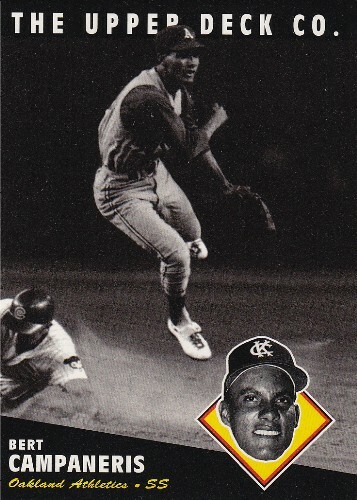 And Frank Robinson became the first Topps card to be branded with #700. As for me, I started this blog back on March 2nd, 2010. It took me almost three years, but I finally managed to reach my 700th post. During that time, my blog has had over 200,000 views. 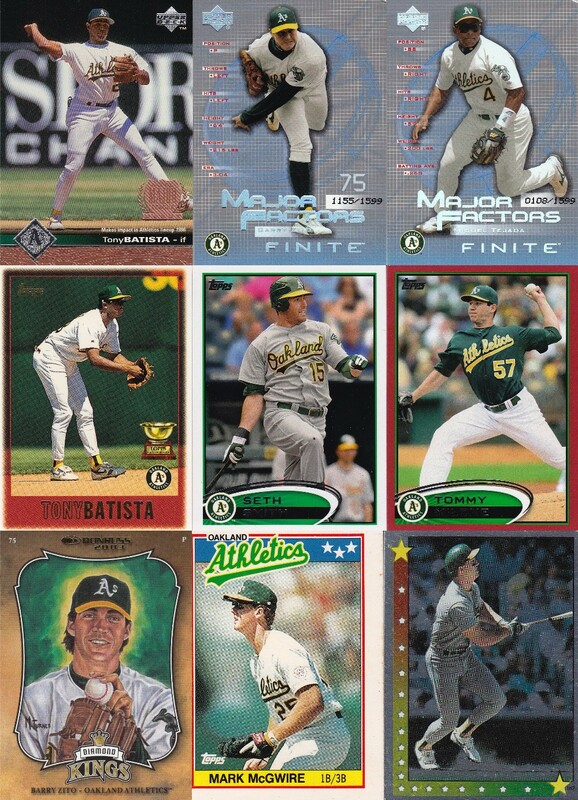 Some of them are from Google image searches, but hopefully the bulk of them are from fellow collectors and bloggers who appreciate sports cards, comic books, and other collectibles like myself. Thank you to everyone who's taken the time to check out my blog. I created this blog to document my cardboard history... however it's evolved into something larger: hobby camaraderie. 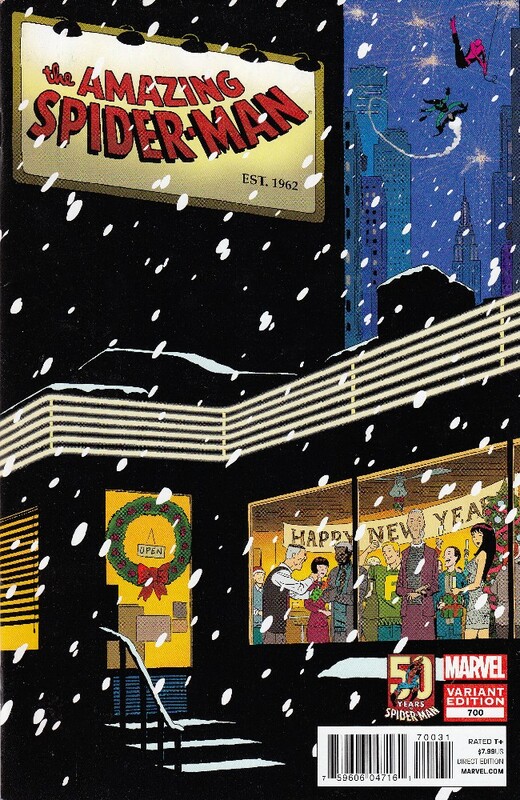 Peter Parker may have moved on to greener pastures, but I'll continue to write posts. My motto has always been... if you keep reading them, I'll keep writing them. Sometimes, I truly believe things happen for a reason. Maybe it's because the stars are aligned. Or maybe it's because the Cardboard Gods were having a good day. 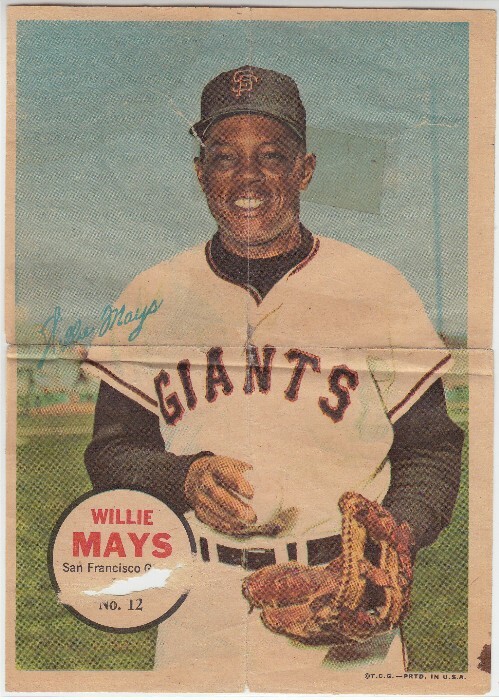 Either way, I finally acquired a vintage Willie Mays card that isn't considered to be poor or damaged. 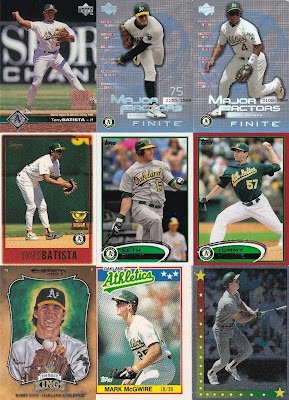 It all started at the Serramonte Mall Sports Card and Collectibles Show a few weeks ago. I was hanging out with my buddy who was set up as a vendor. 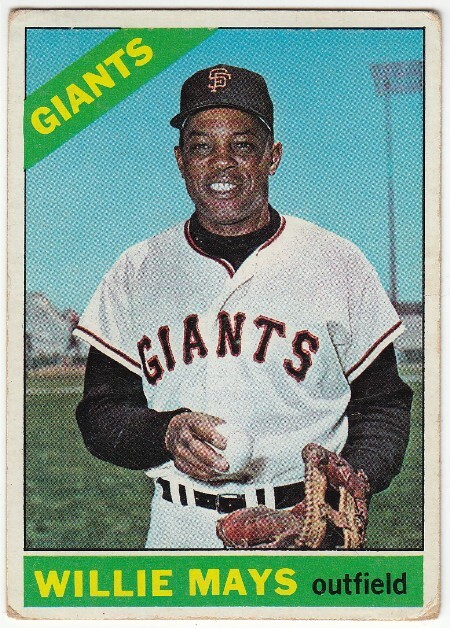 Several people kept asking him about his 1966 Topps Willie Mays. Eventually, I decided to check it out for myself. Beckett has it listed at $250, but my buddy's copy has two creases with rough corners. He was looking to get $85 for it, but nobody was biting. Later that evening, I pulled the card out again and asked him for his best price. He said I could have it for $65. I countered with $50. 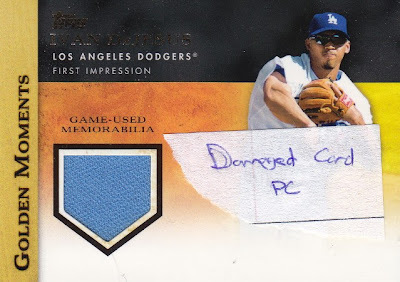 We asked another guy and he felt $50 was reasonable based on the poor condition of the card, but he didn't budge. I decided to check eBay auctions to see what this card was going for and couldn't believe how affordable this card was. Back in November, one of these sold for under $5 and there were several others that sold for under $10. At this point, I shifted gears and focused on finding one on eBay. It not perfect, but at least it didn't have two creases. And it get's better. The seller had a BIN price of $12.99 (+ $2.50 shipping). I showed it to my buddy and he told me to buy it. You've gotta love eBay and cell phones! 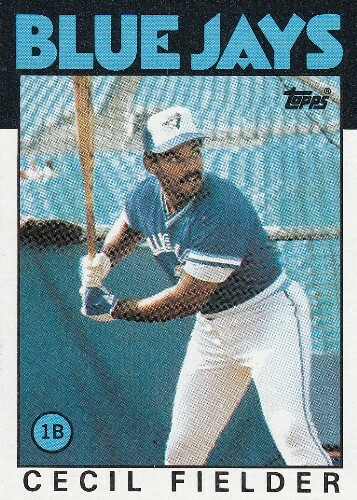 Without them, this Willie wouldn't have ended up in my collection. 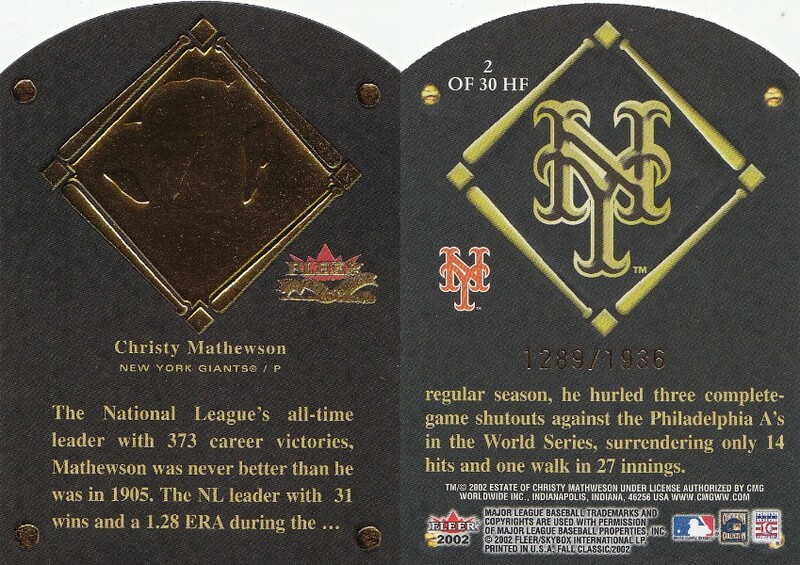 Both of these cards are 1993 Pinnacle Cooperstown cards that were issued as part of complete sets. However there's a huge difference in value and availability. 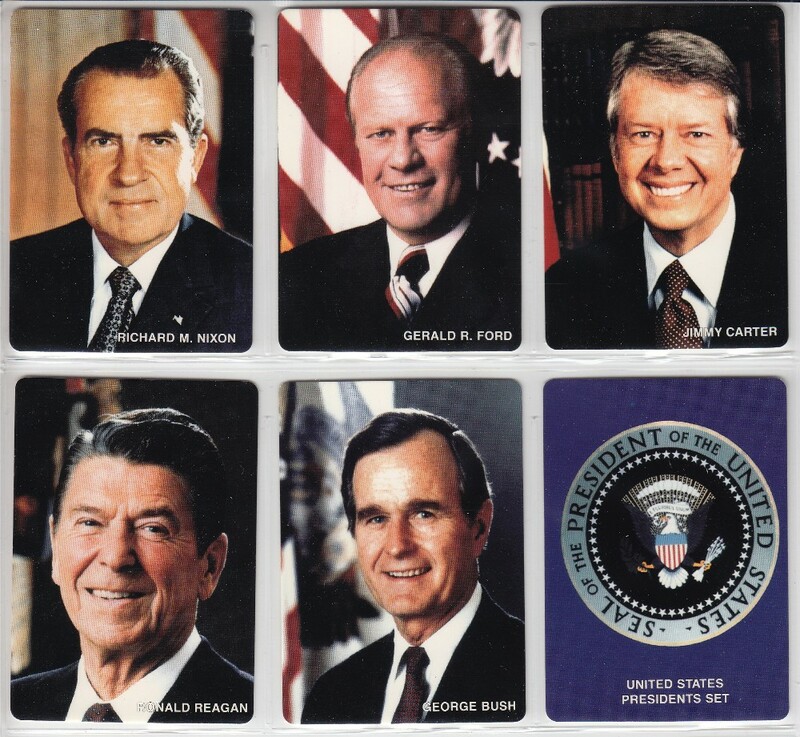 The card on the left was part of a factory set available to most collectors who had access to local card shops or retailers who sold cards. 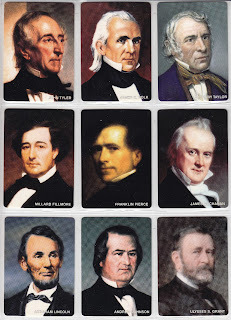 The sets are fairly common and can be purchased on eBay for $5 to $7. 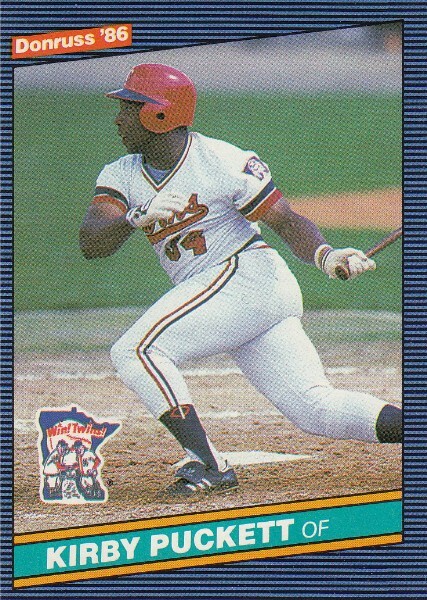 However the Tony Gwynn on the right is the Dufex parallel, which are much more difficult to find. 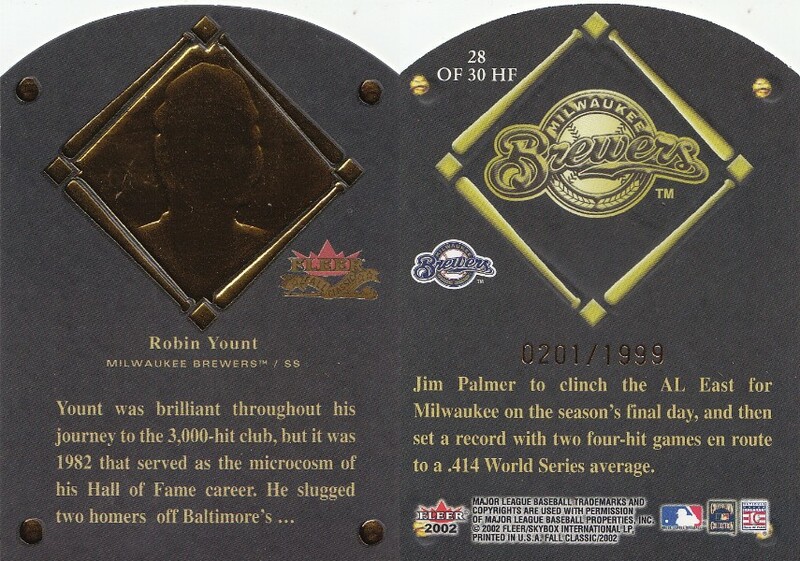 According to what I've read on the internet, the 1993 Pinnacle Cooperstown Dufex sets were numbered commemorative gifts given to all full house participants at the 1993 SCAI Conference. There were supposedly only 1,000 sets produced, but since attendance was light at the conference it's possible that not all of the sets were distributed. 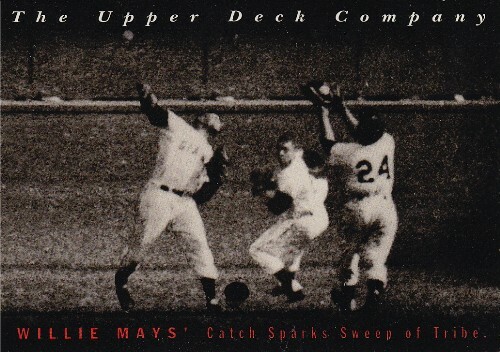 This parallel is one of the first card sets produced by Pinnacle to utilize the dufex technology. 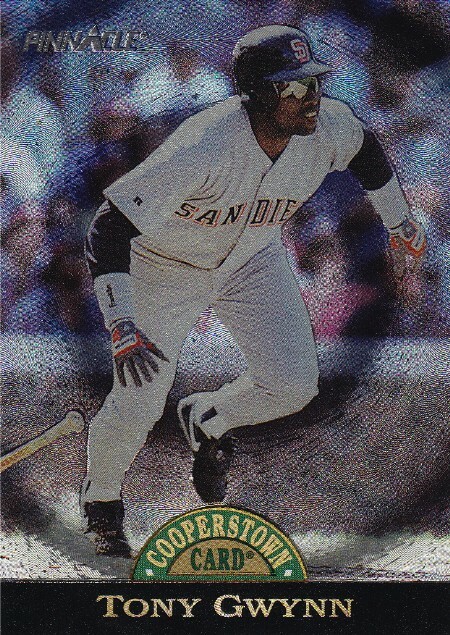 I was extremely excited to add this card to my Tony Gwynn PC, but it wasn't cheap. A seller on eBay was asking for $39.95obo (with free shipping). I offered him $19.95 and he accepted. 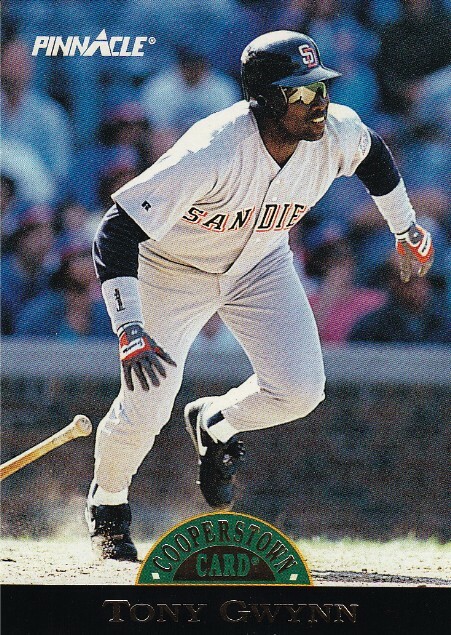 Outside of a couple of autographs and graded rookies, it's the most I've ever spent on a Gwynn card. But there isn't a single bone in me that regrets this purchase, because this card is awesome! Earlier this month, I made my usual trip down to the Capitol Flea Market with my buddy Mike. It's your typical "used junk" type of flea market. So if you're afraid of germs, I'd stay away. But if you're patient and looking for hidden treasures, you might just find what you're looking for. This bobblehead has been at the top of my want list for four years. 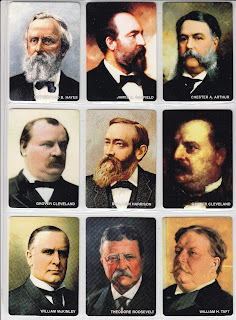 I've seen them at card shows, but for some reason... dealers consider these to be super valuable. They pop up regularly on eBay too, but I've never felt comfortable paying the crazy shipping charges. I always hoped that I'd find one locally at a reasonable price and now I can finally cross it off of my list. 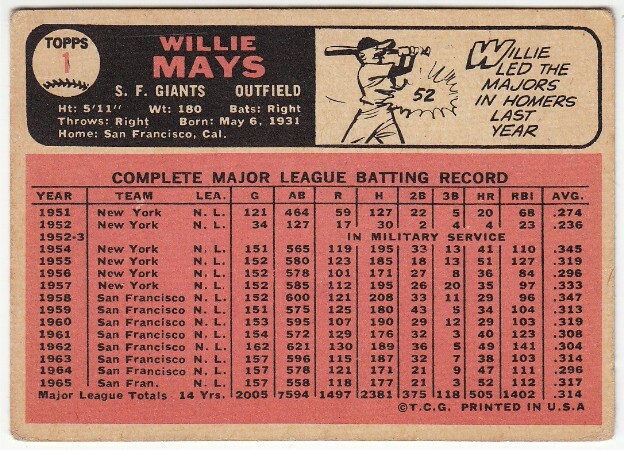 I love buying old price guides... especially the ones that contain cards. As we were wrapping up the last few aisles, I found some sitting in a nice stack on the ground, while fading in the sun. There were seven issues of Legends and a copy of Beckett Football with Emmitt Smith on the cover. These are excellent bathroom reading materials, because they contain old ads and interesting articles from the early 90's. Since most of them were pretty beat up, I decided to cut out the postcards and cards for my collection. Neither are in good condition. 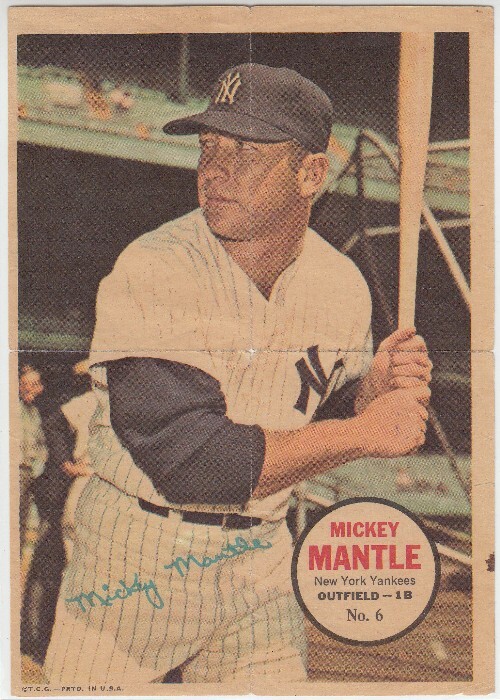 The Mantle is torn down the middle and the Mays has tape all over it. I'm not complaining though. 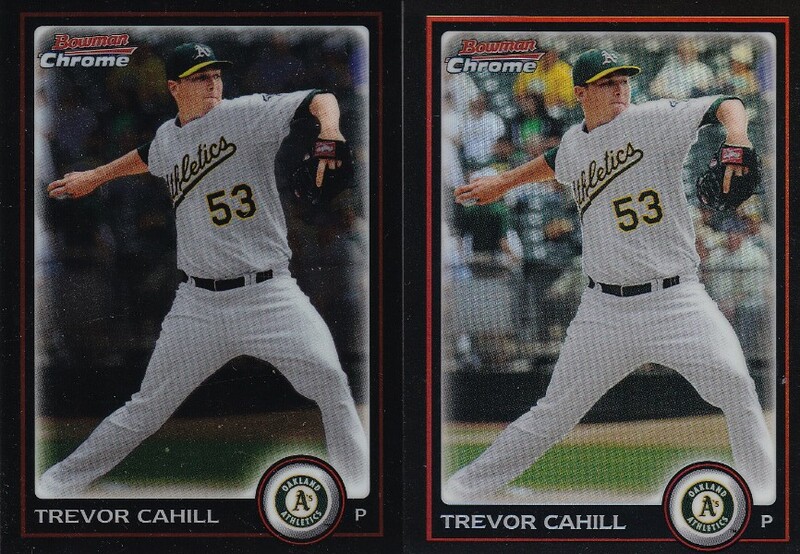 Both were nice surprises and make excellent additions to my vintage card binder. 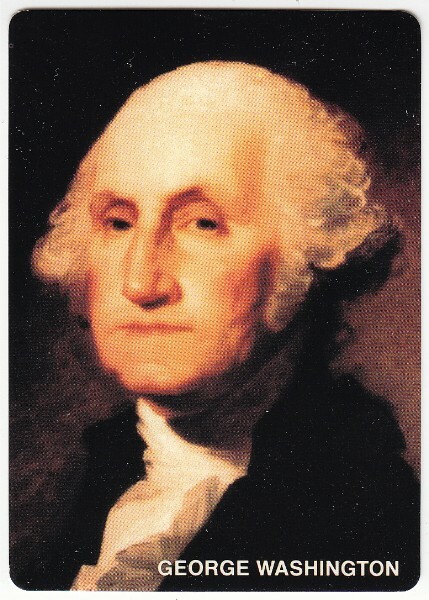 The third Monday of every February is known as Presidents' Day in honor of George Washington's birthday. 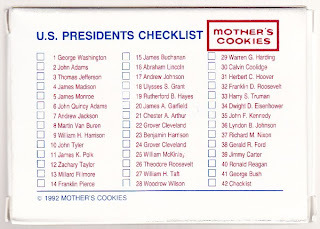 It also means that I usually get a week off from work, so I figured I'd show my appreciation by showcasing my 1992 Mother's Cookies U.S. Presidents set. 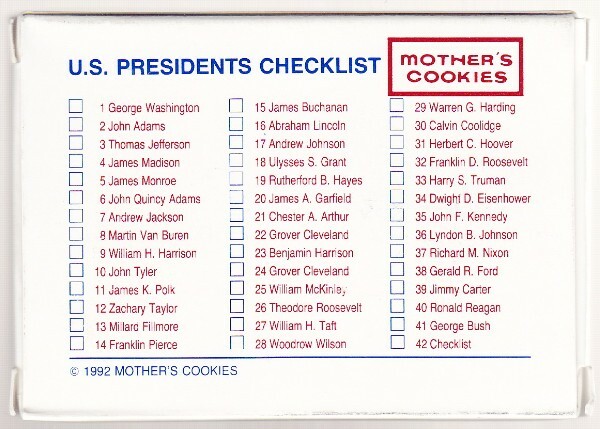 Each of the first forty-one Presidents have their own card, plus there's a checklist card. I've seen these cards individually wrapped in cellophane packages, which I assume were placed into bags of Mother's Cookies. However my set came in a specially marked box. If anyone remembers how these were distributed, please feel free to comment below. 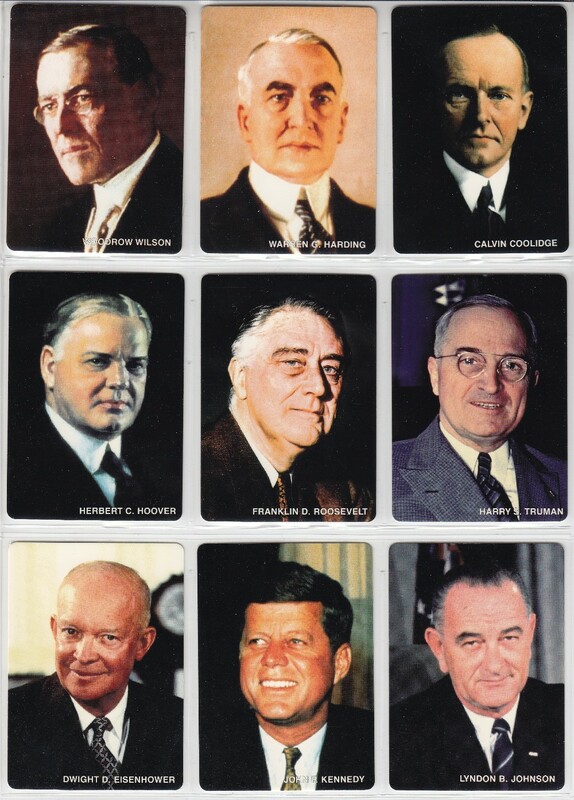 The cards are in chronological order, so card #16 is Abraham Lincoln (the 16th President of the United States), while card #35 is John F. Kennedy (the 35th President of the United States). 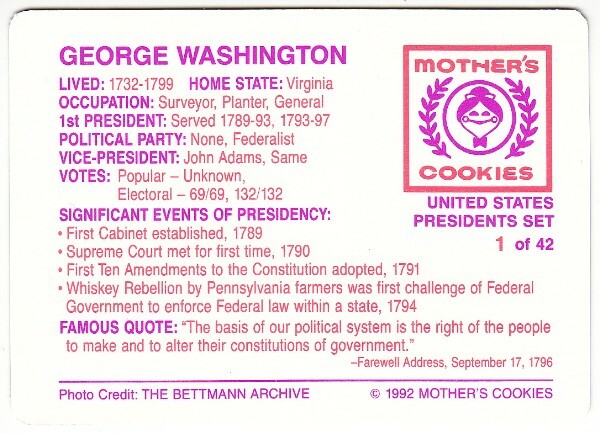 Each card features the rounded corners typically associated with Mother's Cookies trading cards from this time period. 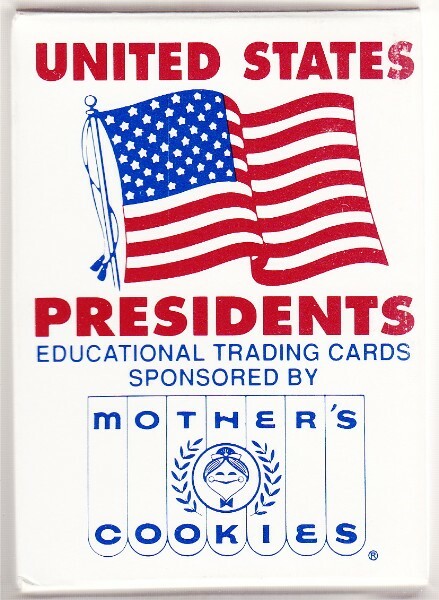 The card backs have key information on the President, such as their political party and significant events during their presidency. You can find these every now and then on eBay in the $5 to $10 range. I'm pretty sure that's about how much I spent on my set. Overall, if you're a fan of oddballs, Americana, or non-sports issues.... then this set is for you. 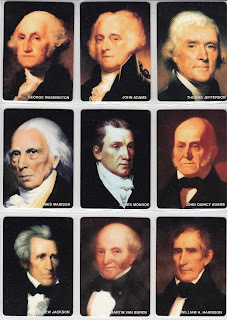 Happy Presidents' Day and sayonara! Certain junk wax is like wine... it gets better with age. It's Flashback Friday and I'm headed back to the 80's. 1986 to be exact. 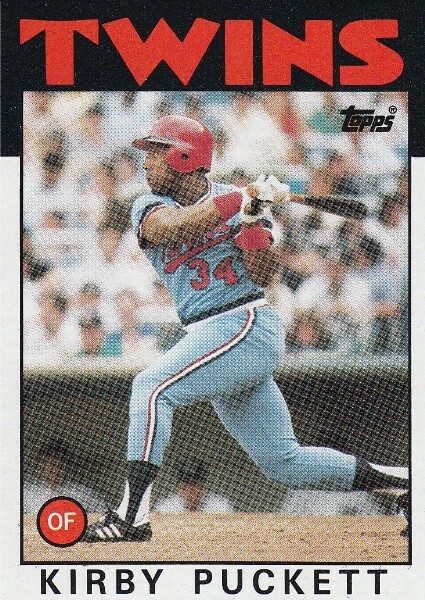 Twenty-seven years ago, I couldn't stand the 1986 Topps baseball card design. Why the disdain? 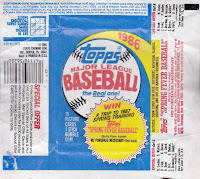 I think it had to do with the lack of the team logos and the overall abundance of Topps compared to Donruss and Fleer. 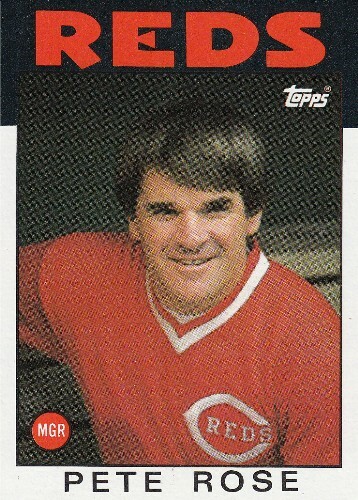 Donruss was always my favorite. 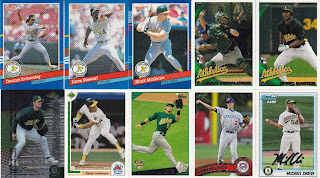 Fleer next. 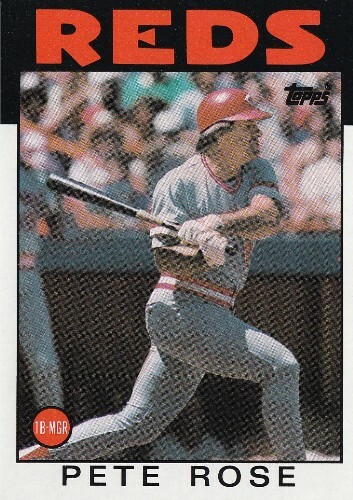 And finishing dead last was Topps. Then a few years ago, things began to change. I started to appreciate the base card's design. What once was considered boring, was now considered intriguing. I like how the team's name and colors stand out across the solid black bar on top of the card. 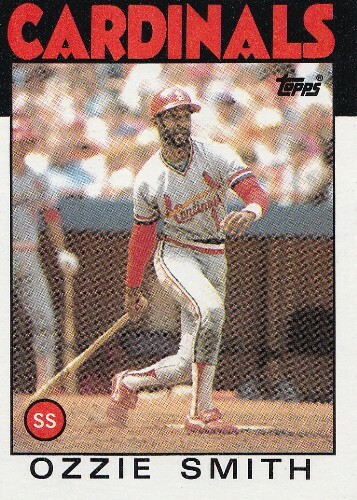 The player's name is easy to see as the black lettering contrasts against the thin white border at the bottom. Topps also did a fine job with the player's position by inserting it into a perfect sized color coordinated circle in the bottom left hand corner of the card. The more I see these cards, the more I like them. 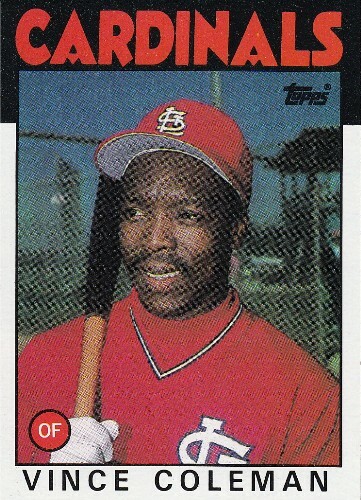 And for a while now, I've had this yearning to bust a box in search of a 50¢ Vince Coleman rookie. Remember when he was worth something? 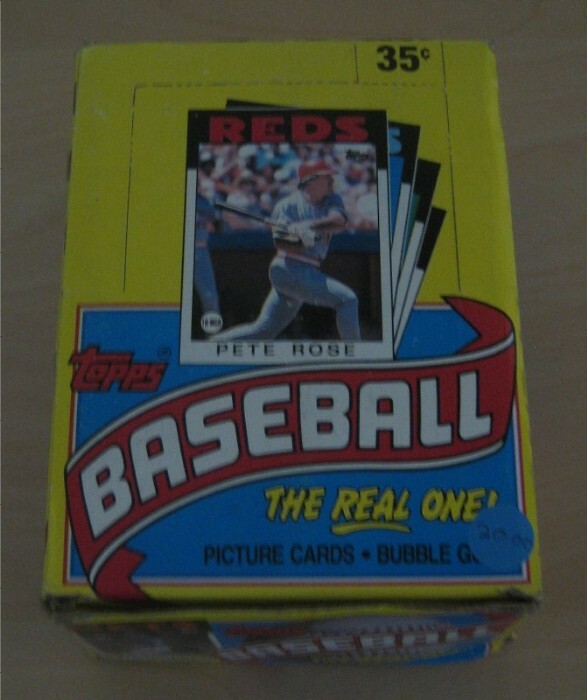 I guess I should be grateful that this stuff is practically worthless, because a few weeks ago, I purchased a wax box for $10 at the Serramonte Mall Card and Collectibles Show. There will be those who say I overpaid. 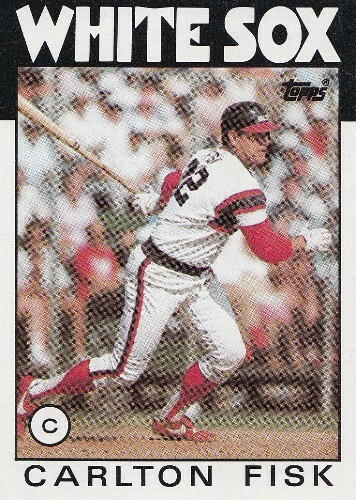 Heck, the most valuable card is the 2nd year Roger Clemens card that books for $4, but can purchased for 60¢ on COMC. But who cares? I look at it differently. Ten dollars gave me 45 minutes of entertainment and helped fill my vintage card binder. 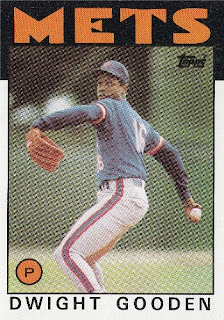 Although 1986 isn't exactly vintage, it happens to be the cutoff year for me, because 1987 was the first year I started buying cards in bulk. 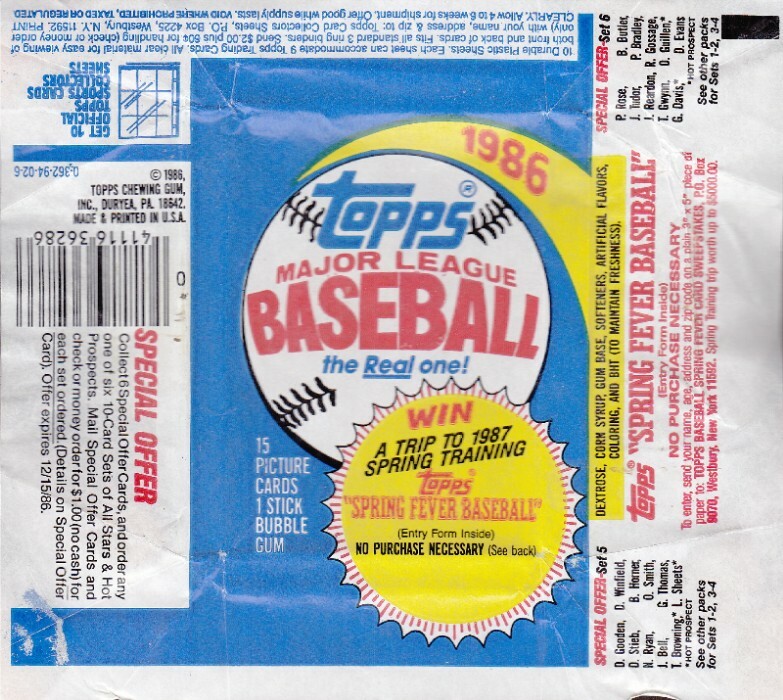 Before that, it was just a few packs here and there. But that's a discussion for another day. All five of these cards have two things in common. 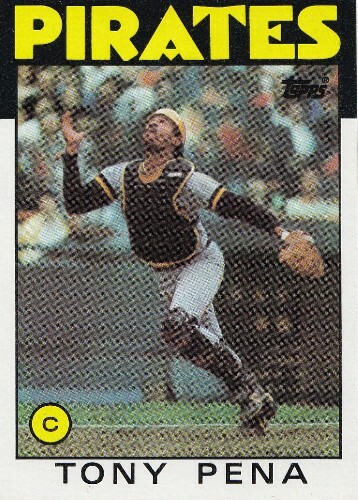 First, Topps used well cropped action shots that show off the athlete's strengths (okay... so maybe Ozzie should be snagging a line drive or performing his famous back flip, but you have to admit that's a sweet shot of him). Plus, I love how the team name and color on top complement the player's uniform (and the fans in the stands) in the photo. 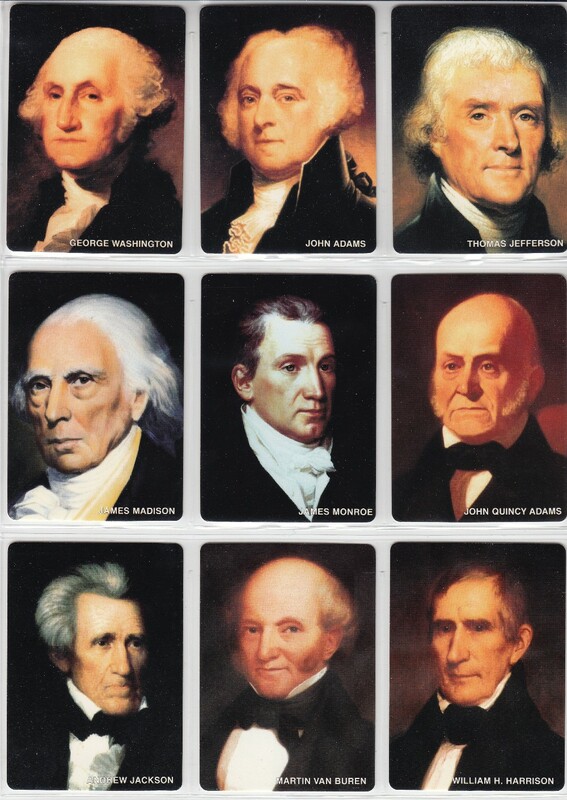 They look like they should be hanging up in a museum somewhere. 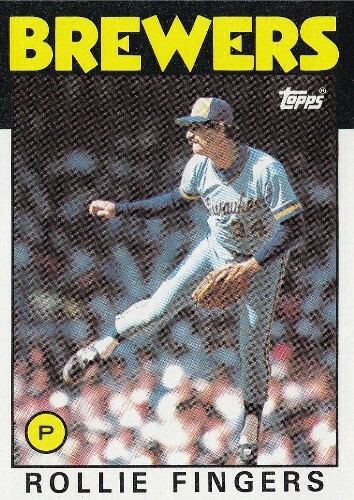 I really want to just stop and stare at this card. 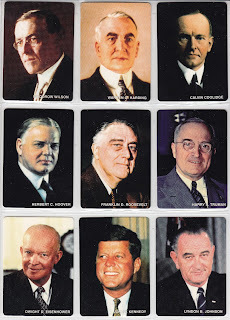 But unfortunately, I have other cards to show you guys. Cha-ching! Winnah... winnah... chicken dinnah. These three cards remind me of the flag. Good old... Red, White, and Blue. 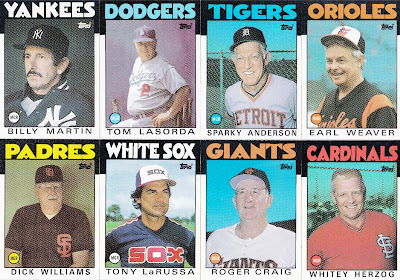 And how about dem managers from that era? 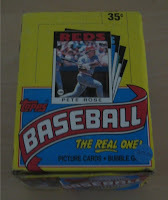 I guess the only downside to this box was the fact that I didn't find the Dwight Gooden box bottom or pull any base cards of my favorite players: Tony Gwynn, Kirby Puckett (the card above is from my binder), Steve Carlton, or Rickey Henderson (although do I really need another card of him pictured in pinstripes?). 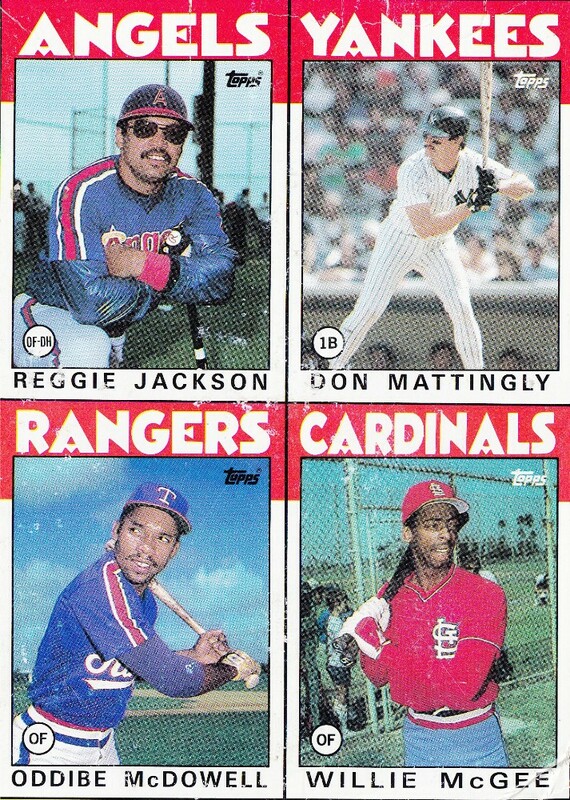 Are you a fan of any of the 1986 baseball card designs? Which is your favorite? Least favorite? I still like the Donruss set design the most. 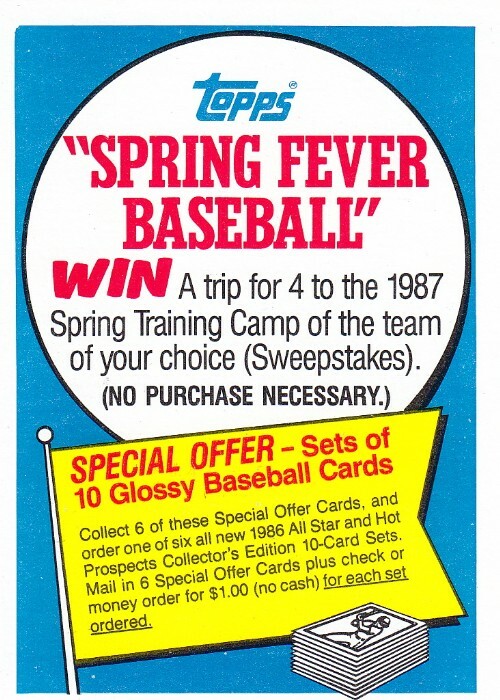 But I'm starting to favor Topps over Fleer. Who knows, maybe in twenty-seven more years Sportflics will be my favorite.